Both are launching in up-and-coming destinations; Purobeach Denia, near Valencia, in June, and Purobeach Taghazout Bay on Morocco’s Atlantic Coast, in September. Alongside the news, the group’s flagship Purohotel Palma will launch an all-new dining concept, Beatnik, while at selected beach clubs, guests will be able to enjoy new daily sound healing sessions for mindfulness using Tibetan gongs and shamanic drums. Set between mountains and sea, Denia is a port city in the Alicante province an hour outside Valencia, considered one of the most beautiful and culturally rich destinations in Spain. An under-the-radar gem with a host of new luxury developments including the Almare area on Les Deveses beach, Purobeach Denia will be located along a three-kilometre-long stretch of pristine sand. The new beach club will include a spacious restaurant serving Puro’s signature fusion M3 cuisine including fantastic new vegan and vegetarian options, a terrace bar, pool and DJ cabin playing Puro’s signature relaxed Balearic beats and outdoor spa. Representing Puro Group’s first property on the African continent, Purobeach Taghazout Bay will be located in the picturesque fishing village of Taghazout on the dramatic Atlantic Coast. Renowned for its beautiful beaches, surfing and seafood, Taghazout is a lesser-known alternative to its coastal cousins Essaouira and Agadir, undergoing a chic redevelopment with the opening of a crop of new luxury hotels in 2019 including Fairmont, Marriott and Hilton. The most ambitious Purobeach project yet, the Taghazout Bay beach club will be spread across more than 3,000 sqm with a relaxing pool area, deck to watch the sunset, boutique shop, terrace restaurant and spa. A new dining experience in the heart of Palma’s historic Old Quarter, Beatnik will occupy the ground floor of Puro’s flagship Purohotel. With a new chef and delicious menu, guests will be able to enjoy dishes served al fresco on warm evenings in the hotel’s palm-fringed courtyard or terrace bar overlooking Palma’s rooftops. 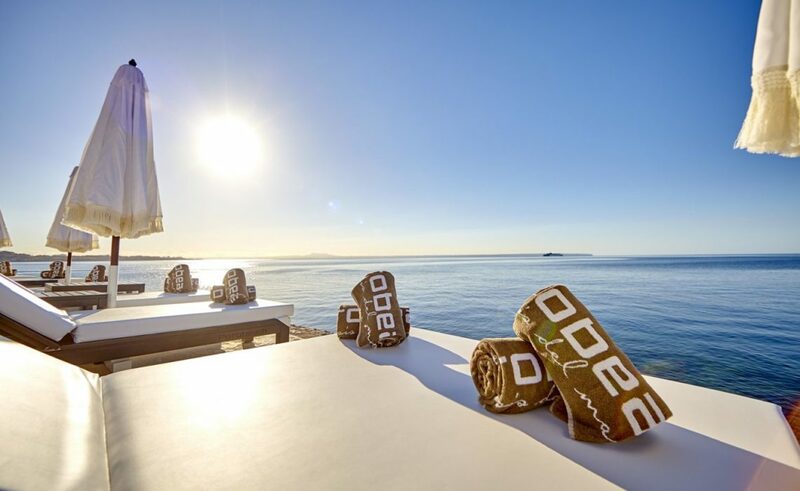 Finally, from April, Purobeach will launch sound healing sessions in a serene corner of each club, the perfect complement to a relaxing massage using organic Seaskin products. Scheduled once a day, sessions will include Tibetan gongs, quartz bowls, rain sticks and shamanic drums for an immersion in restorative frequencies believed to have effects on the entire body on a mental, physical and spiritual level, alleviating stress and anxiety.